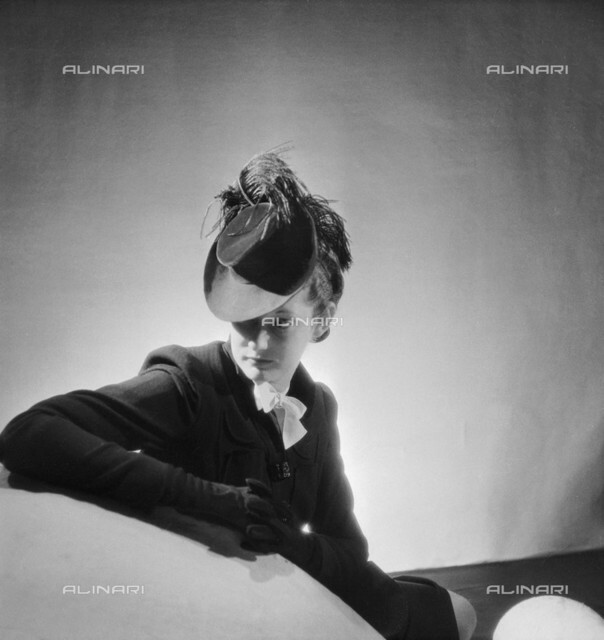 Elsa Schiaparelli in the Alinari Archives, Florence | get back, lauretta! 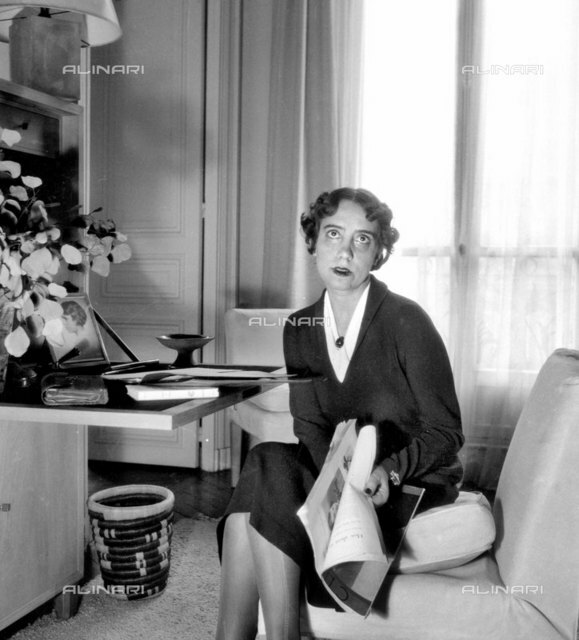 Elsa Schiaparelli (1890–1973) was an Italian fashion designer. Along with Coco Chanel, her greatest rival, she is regarded as one of the most prominent figures in fashion between the two World Wars. Starting with knitwear, Schiaparelli’s designs were heavily influenced by Surrealist painters, like her collaborators Salvador Dali and Jean Cocteau. Her clients included the heiress Daisy Fellowes and actress Mae West. 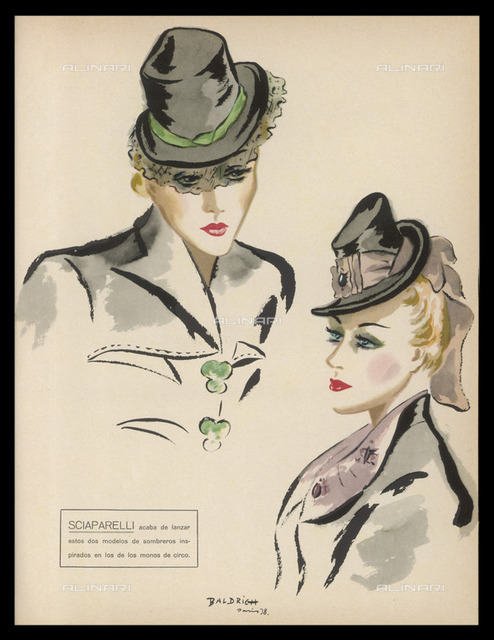 Schiaparelli did not adapt to the changes in fashion following WWII and her couture house closed in 1954. 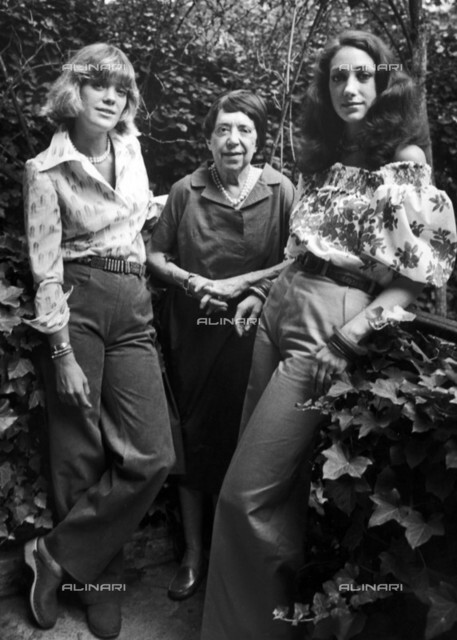 Marisa Berenson (on the right, born in 1947), American actress, her sister Berry Berenson and their maternal grandmother Elsa Schiaparelli (1890-1973), Italian-born French top designer.